NGA focuses intensively on operation-related issues involving the regional natural gas industry. This work is conducted under the direction of the Operations Managing Committee (OMC) and through the work of a variety of committees. These committees do work in the areas of training and qualification programs (for example, LNG safety, pipe joining and operator qualification), pipeline safety regulatory issues, integrity management, gas control, and safety, among other topics. 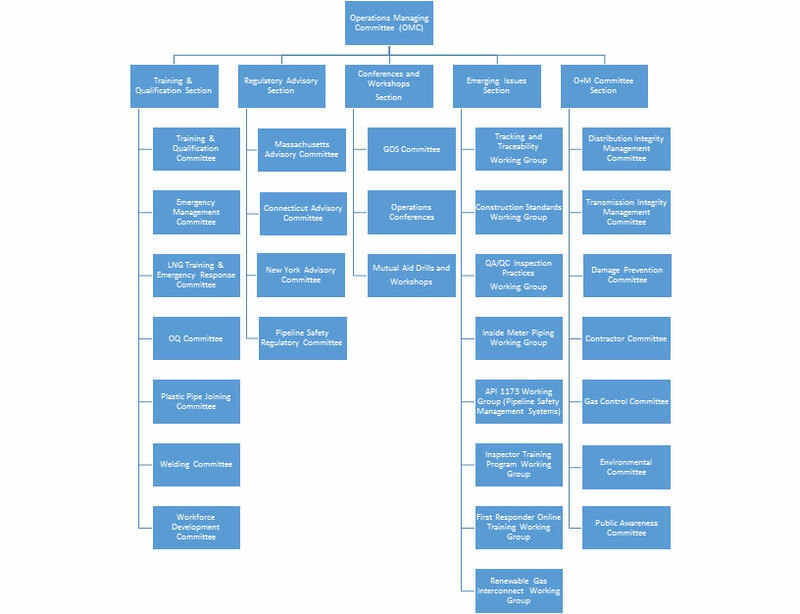 The committee structure is illustrated below. 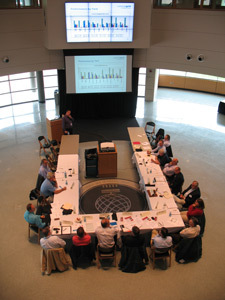 The OMC sets overall direction and supervision and is comprised of senior officials from LDCs in New Jersey, New York and New England, as well as interstate pipeline representatives.